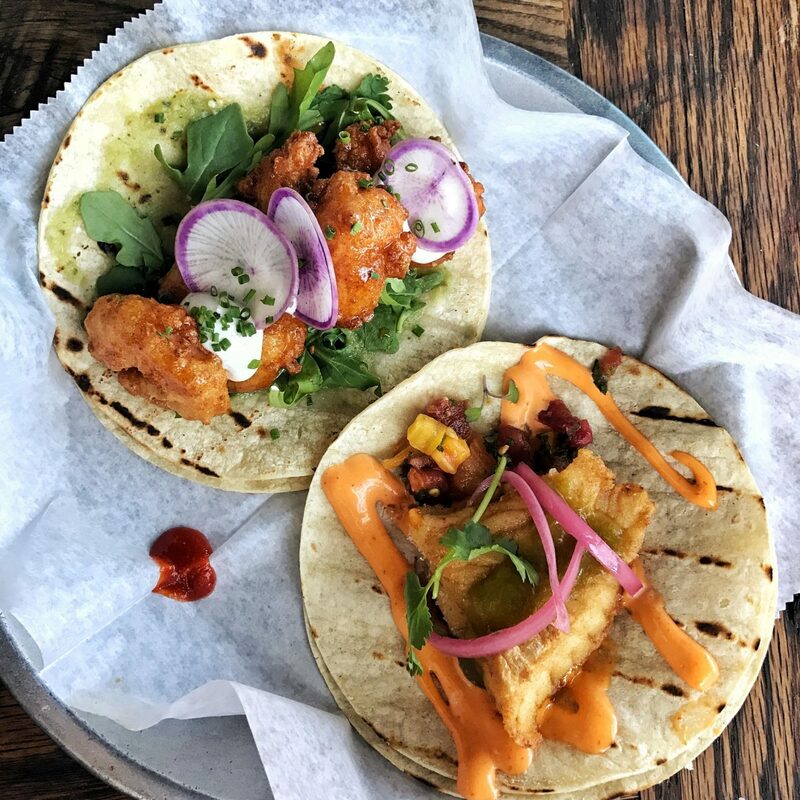 Eats, Drinks + Sights: Charleston Edition - craving currently. This past March I took my third trip to Charleston, SC and by the time I got back I had three different friends ask me for my recommendations because they were planning their trip. 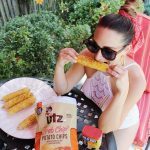 Three trips to the same city I love and I have yet to write a post of my favorite eats, sights, and spots – which lead me to this post 🙂 I’d like to say it’s a guide to Charleston – but if I’m being honest, its how to eat and drink your way through this beautiful southern city that stole my heart. My first trip to Charleston was to visit my bff, Ashley, some of you probably know her as neverbeenso/@neverbeenso, while she was down there for work. After spending a week there, with Ashley as our guide, I knew I had to get back as soon as possible; which we did, twice now since that very first visit. 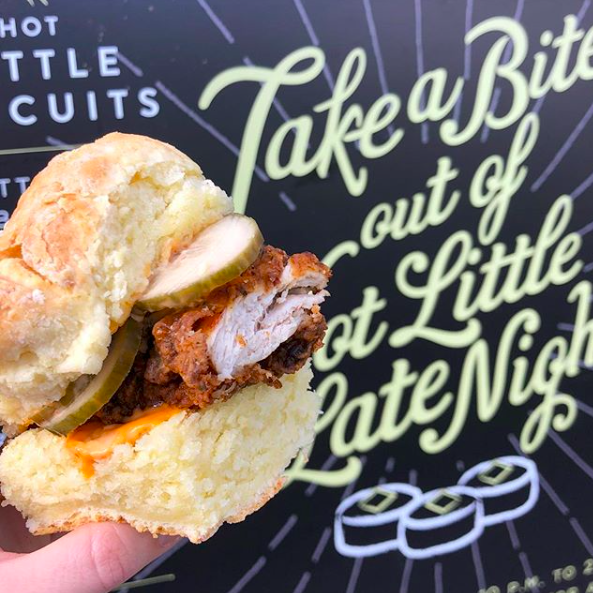 Tips/What to Order: This spot is TINY (hence the ½ in the address) – get there early (check the hours online – typically 7 AM weekdays and 8 AM on weekends) so you can avoid a line OR go late night and you can get chicken on your biscuits. 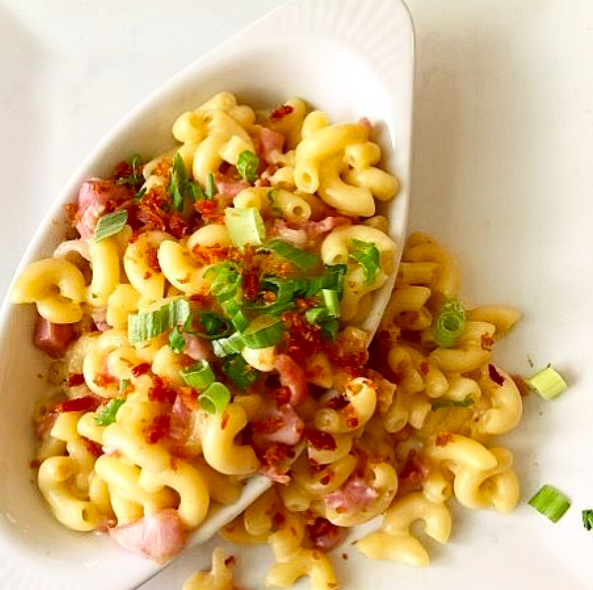 Tips/What to Order: The Mac & Cheese is life changing and the pimento cheese fritters are the best I’ve had – which says alot knowing pimento cheese is a staple down south. For your brunch entree get the Fried Chicken sandwich, it’s HUGE. And…I’d recommend making reservations. 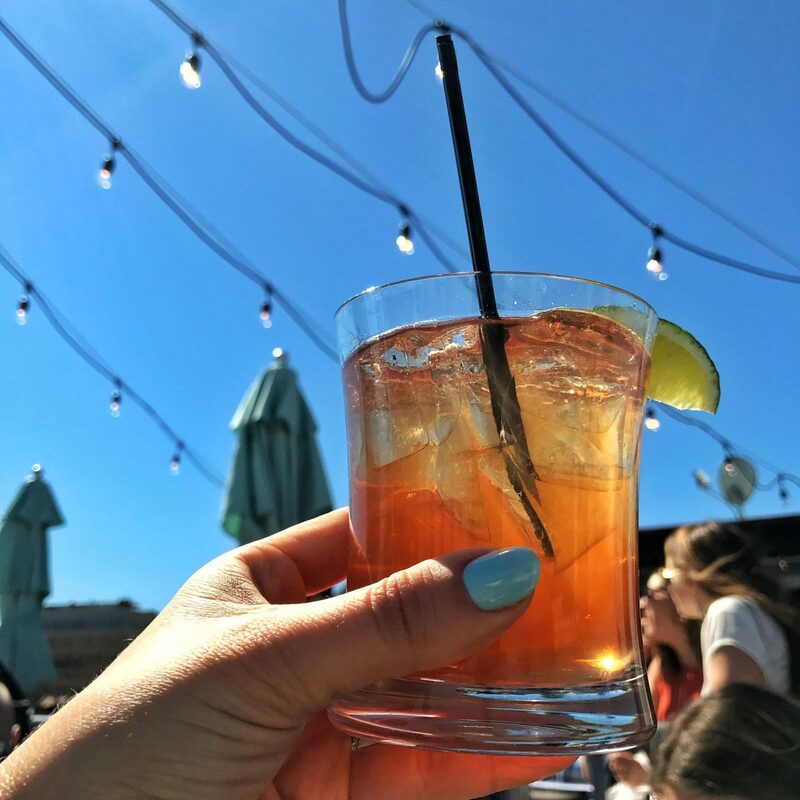 Tips/What to Order: They are only open for brunch on Sunday’s. It’s not on the menu but you can get a ‘starter’ of biscuits and jam if you ask and they give you a sampler that’s amazing. The place is off the beaten path but it’s SUPER cute inside. 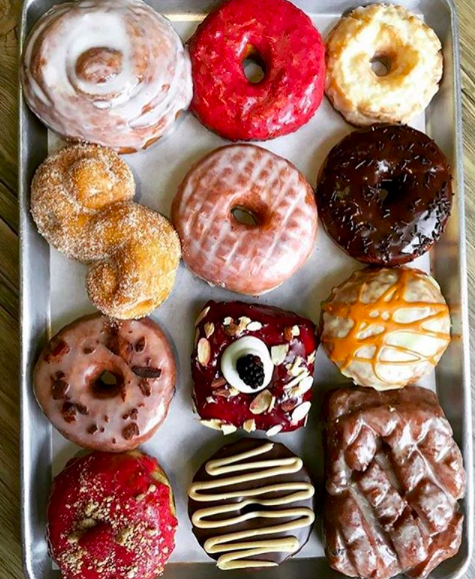 Tips/What to Order: They fresh make e v e r y t h i n g every day – just go to their Instagram and look at the creations. So in summary, whether you like sweet, savory or kinda crazy they have something for you. Why I like it: I actually LOVE it but it’s SMALL so be prepared to wait if you go. It’s the best ahi poke I’ve had AND they have gauc and chips that’s heaven in chip form. 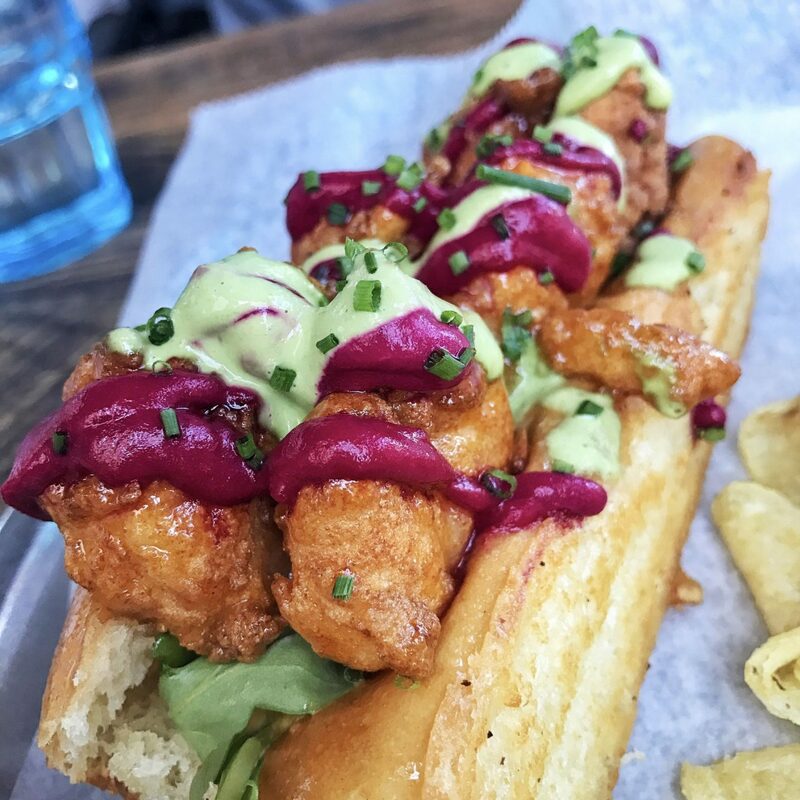 Pro tip: Order the Shrimp Po Boy, mainly because it is b e a utiful. 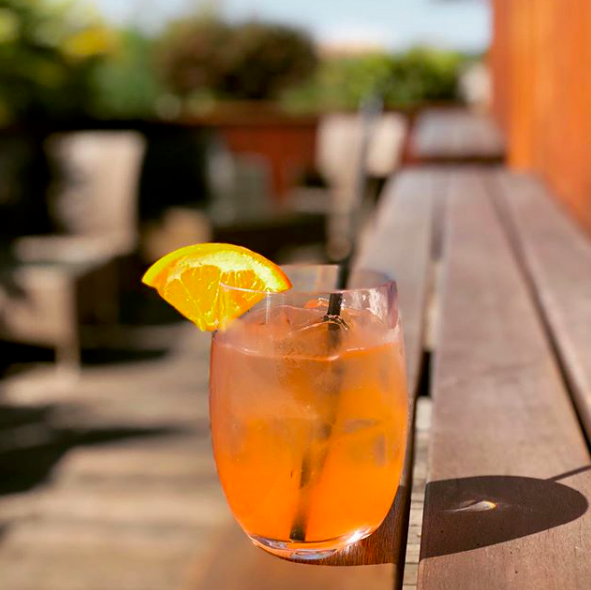 Why I like it: They make really good drinks – end of story. Why I like it: It’s a rooftop bar with a good amount of seating at the top of a fancy hotel. 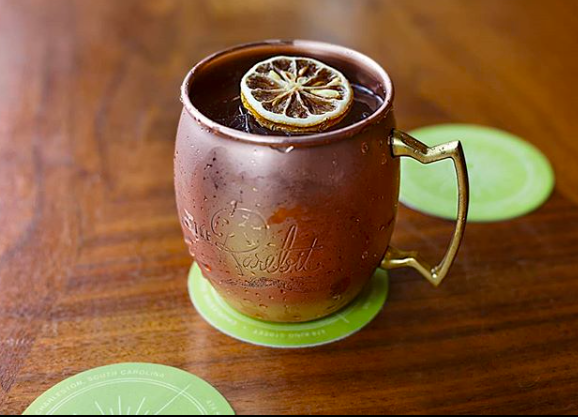 Why I like it: They brew their own ginger beer for their moscow mules – so get a moscow mule. Why I like it: Another rooftop bar with a different view of this pretty little city and they have wine on tap. When you get there you’ll have to walk through the restaurant to get to the stairs that take you all the way to the roof. Why I like it: You can get this little piece of paper and pick ‘how you are feeling’ and they can make you a drink based off of that. Just a tiny fun cocktail bar. Check the hours before you go because they are specific. 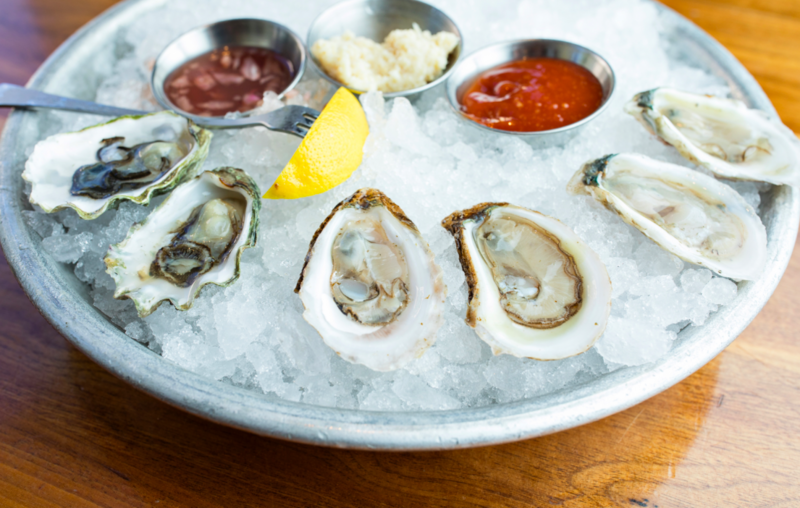 Why go: Expansive raw bar – get some oysters, oyster shooters, and shrimp cocktail. Why go: The Salmon entree was amazing, it is uniquely prepared, served with angel hair pasta and super flavorful. 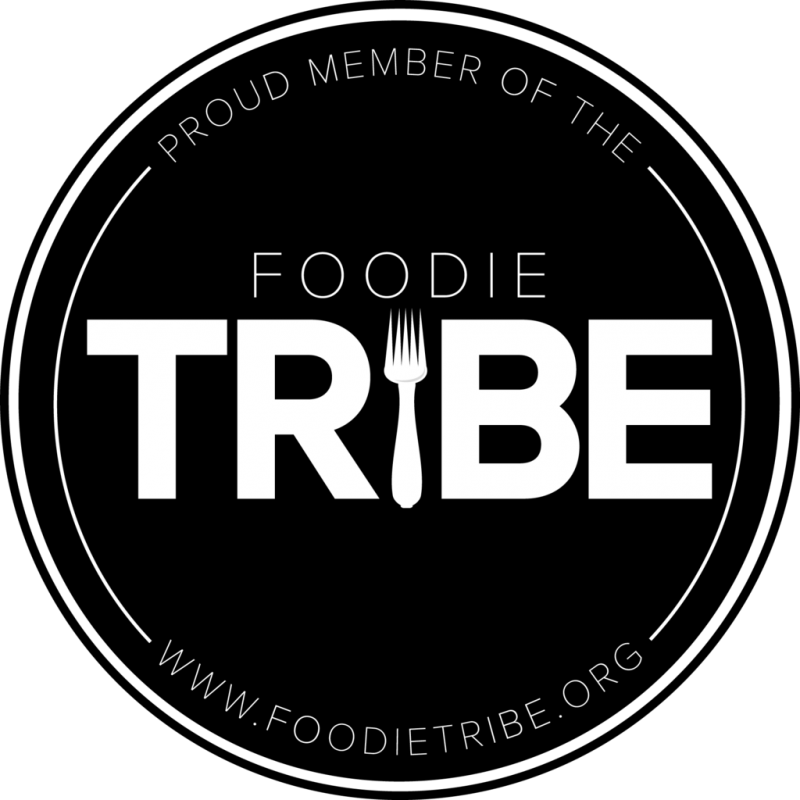 ALSO they have goat cheese mashed potatoes – if you’re into goat cheese, you’ll be into it. Why go: The paella. 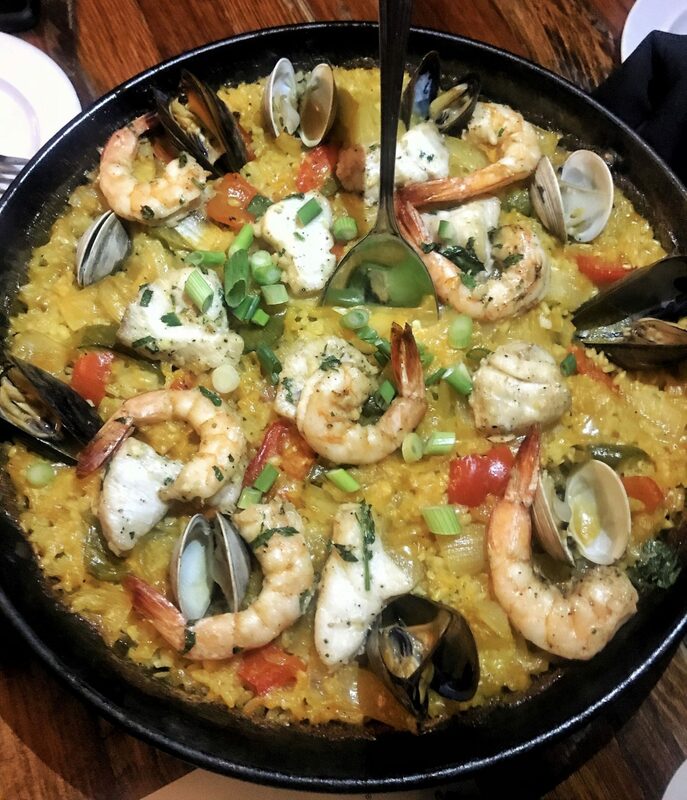 Hands down the best paella I’ve had – it takes about 45 minutes for them to make it since it’s made to order but it’s SO worth it. 100% make a reservation before you go down there. This spot is pretty far down King Street so just uber if you’re going to go to be safe :). 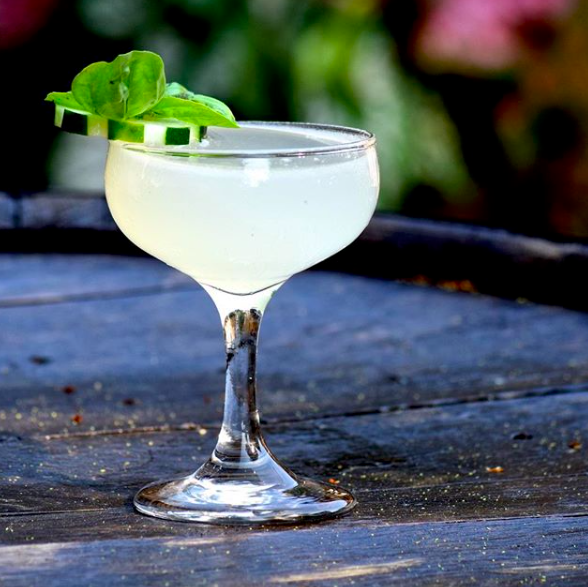 The Darling Oyster Bar – I haven’t been able to make it here yet but it’s on my list. The interior is why I think the heart eye emoji was created. Kudu Coffee & Craft Beer – We met these guys at the Charleston Wine & Food Festival two years ago – super nice and down to earth. While we haven’t made it to their spot yet, it looks like a good hangout if you want to chill and have some beers outside. 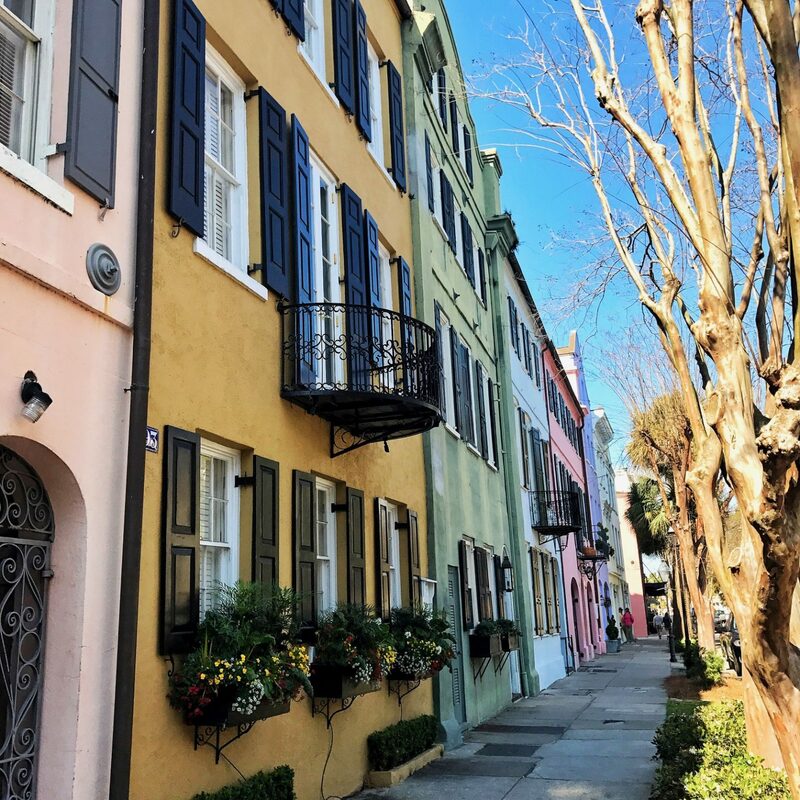 Rainbow Row – Iconic in Charleston – you need to see it – i.e. the cover photo of this post. Charleston City Market – Fun to walk through and buy some gifts to take home from local Charleston vendors. Waterfront Park – This is where the iconic pineapple fountain is located – one of those ‘must see’ little stops while in Charleston. So tell me, have you been to Charleston? 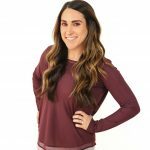 Did I miss any of your favorites or are you looking for something specific? Comment below!